A grandly sized picture of the Volume 5 cover. 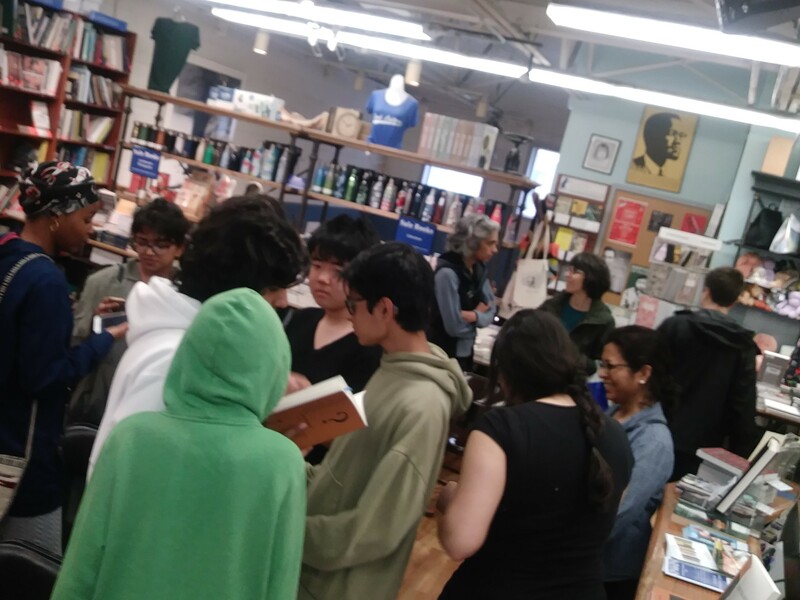 Photo of the 2018 Book Culture Event! 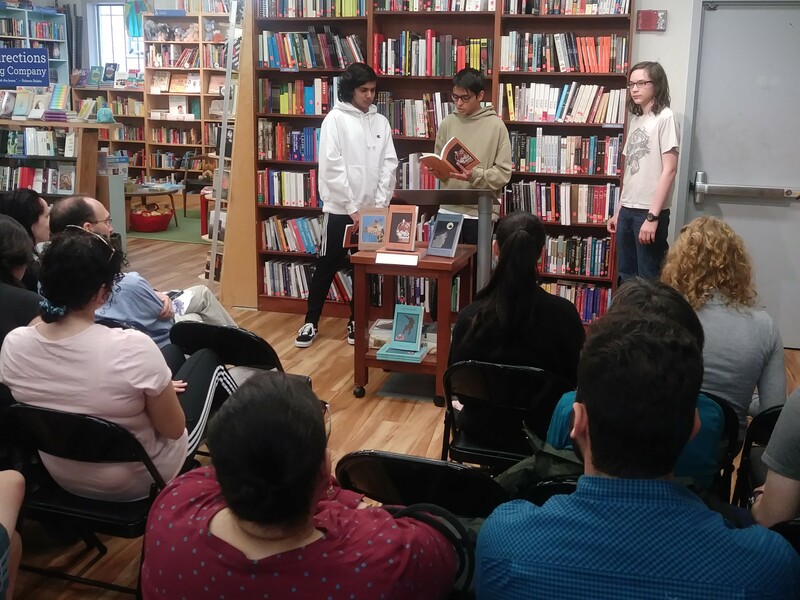 Another Photo of the 2018 Book Culture Event! 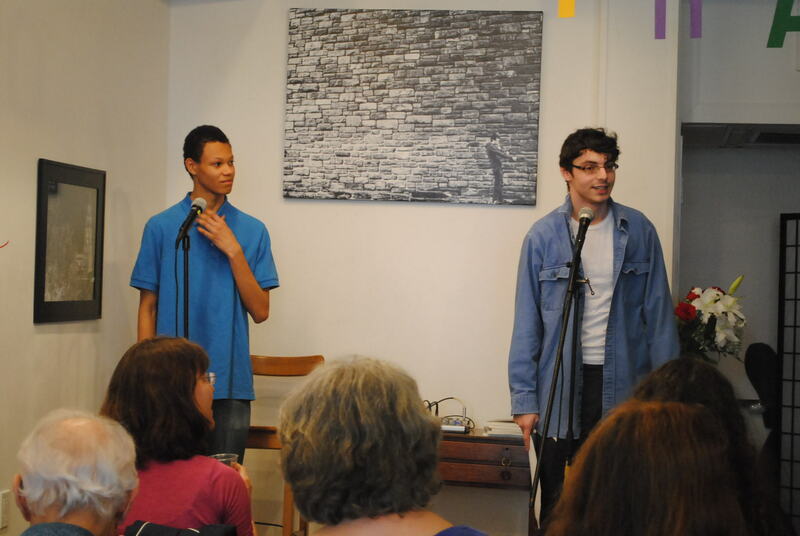 Haroon, Amogh, and Theo reading Amogh's piece. 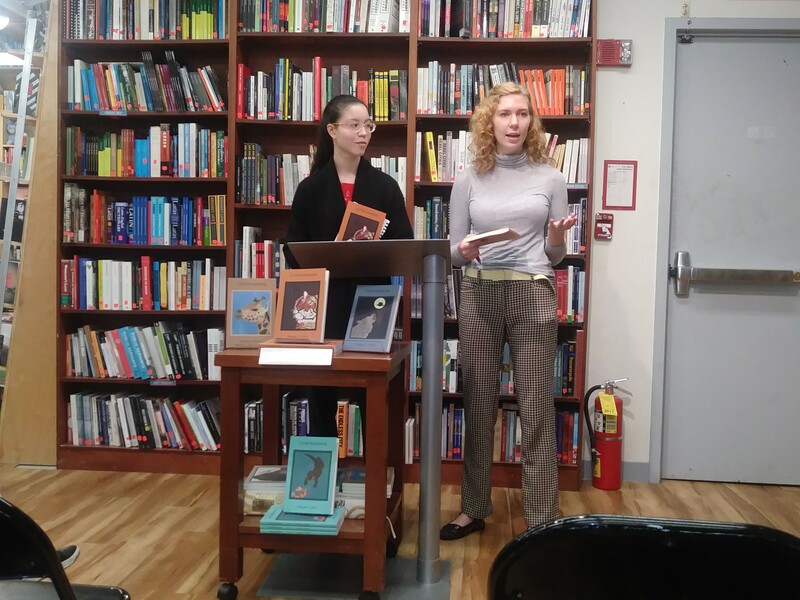 Melany and Zosia making an introduction. 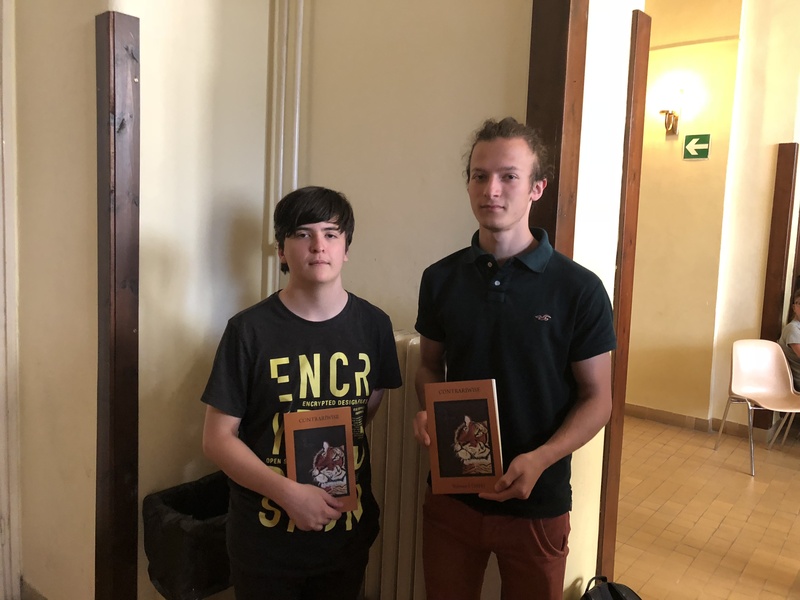 Gábor and Barnabás with Volume 5. 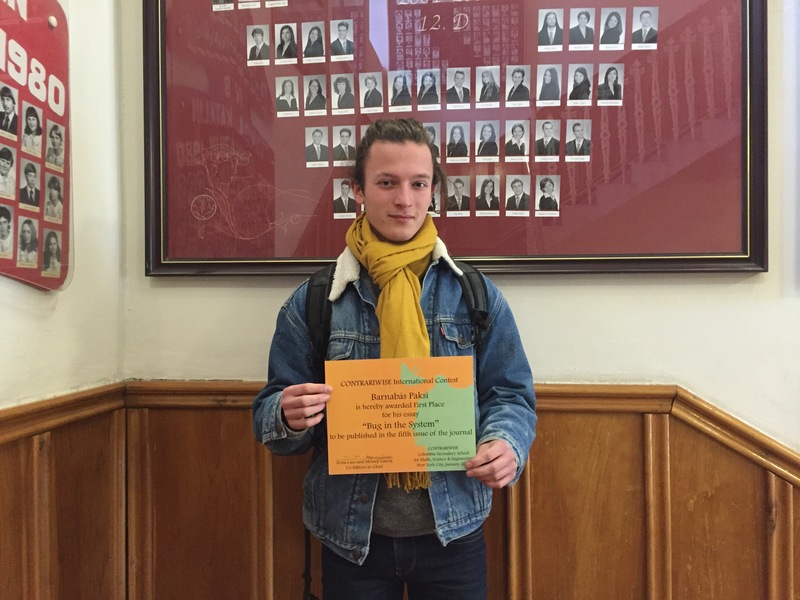 Barnabás Paksi, one of our Volume 5 International Winners! Hakan Urgancıoğlu, one of our Volume 5 International Winners! 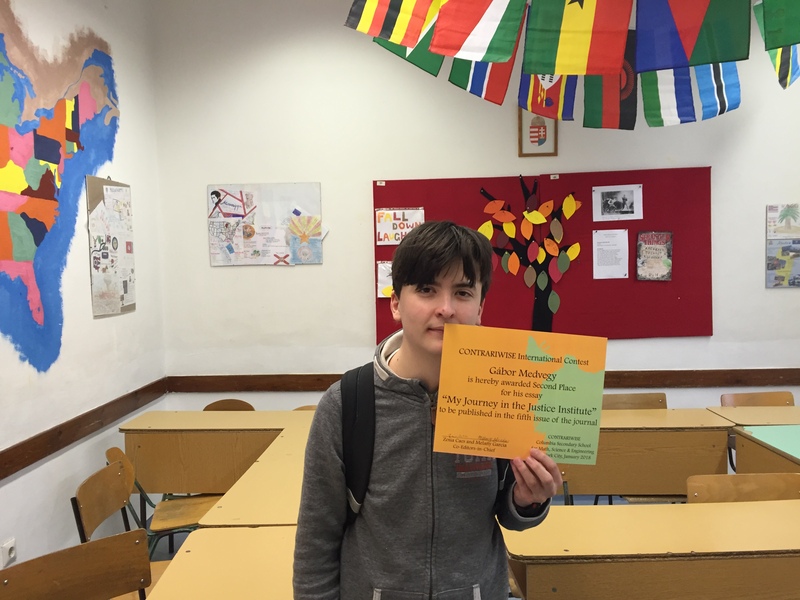 Gábor Medvegy, one of our Volume 5 International Winners! 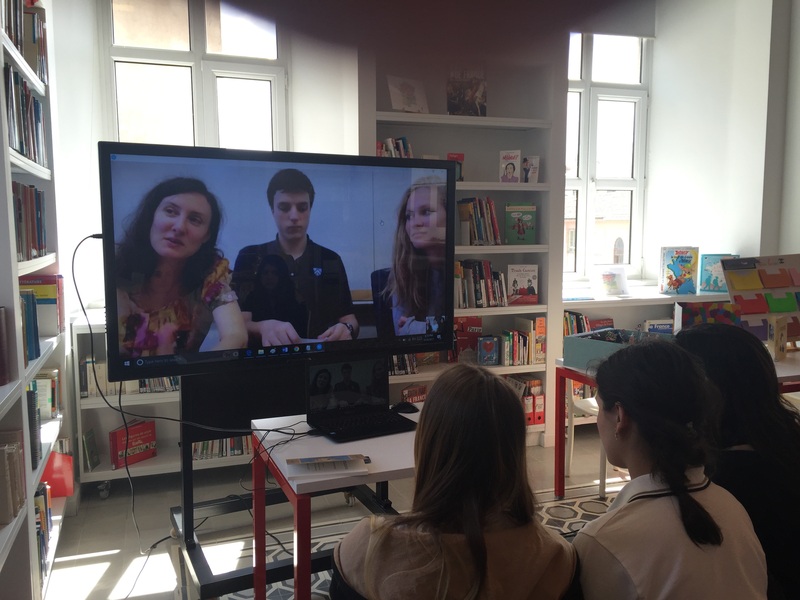 Skype call between student contributors in Turkey and the past editors in chief. 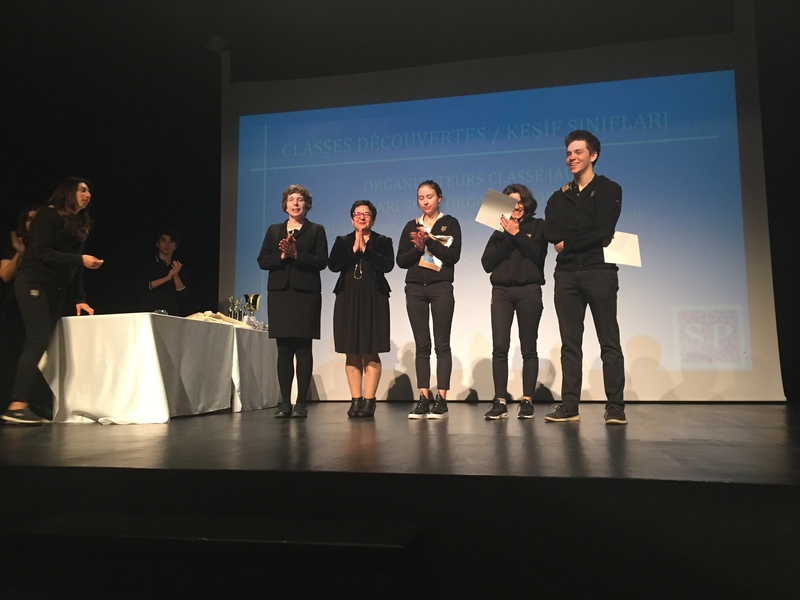 Philosophy awards ceremony at Sainte Pulchérie French High School in Istanbul, Turkey. 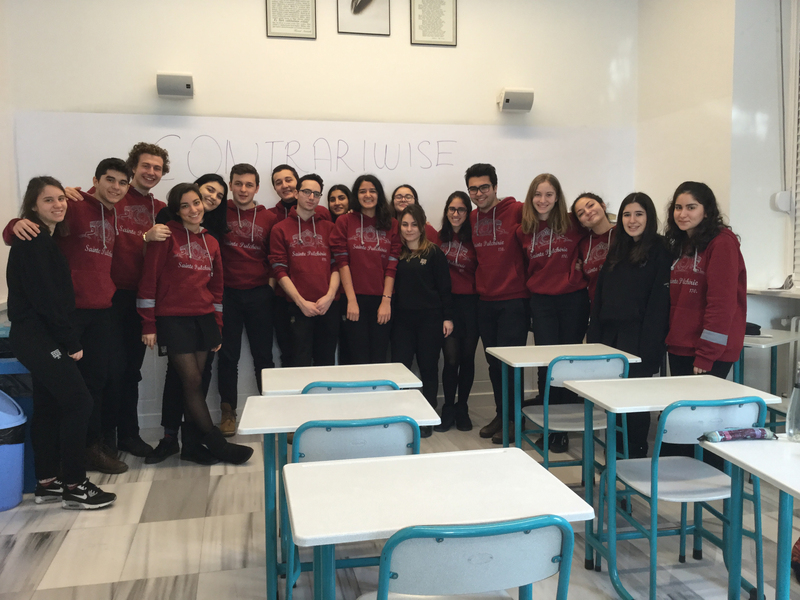 Eleventh grade student Selin Tunali was presented with two copies of CONTRARIWISE as her prize. 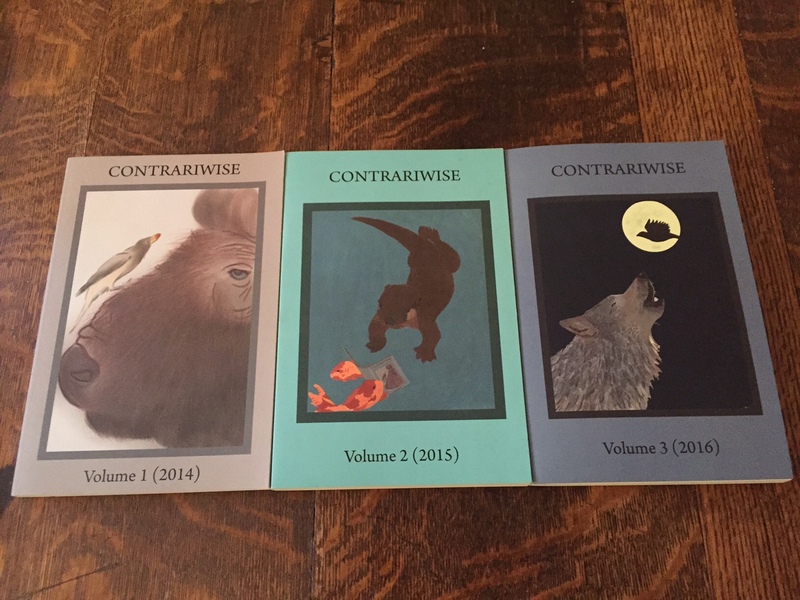 Behold the first three issues of CONTRARIWISE. May there be many more! 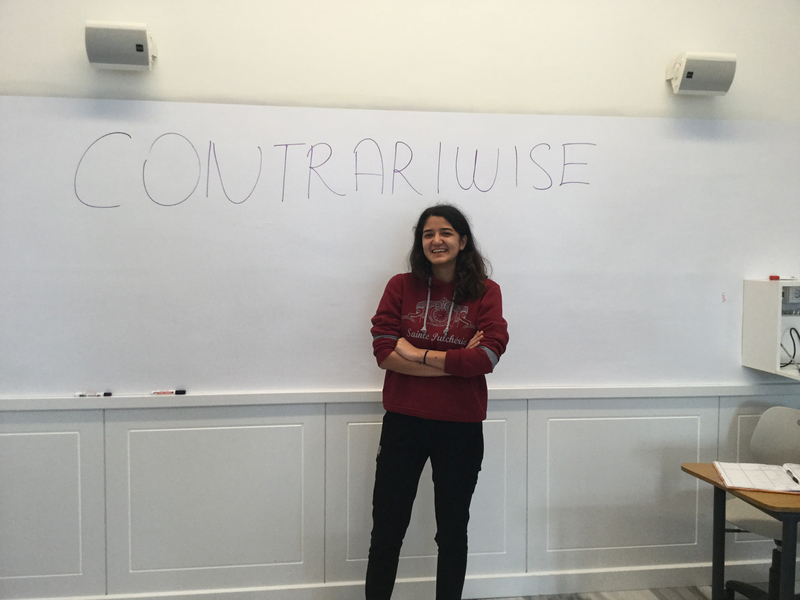 The third issue of CONTRARIWISE arrived on February 22, 2016. 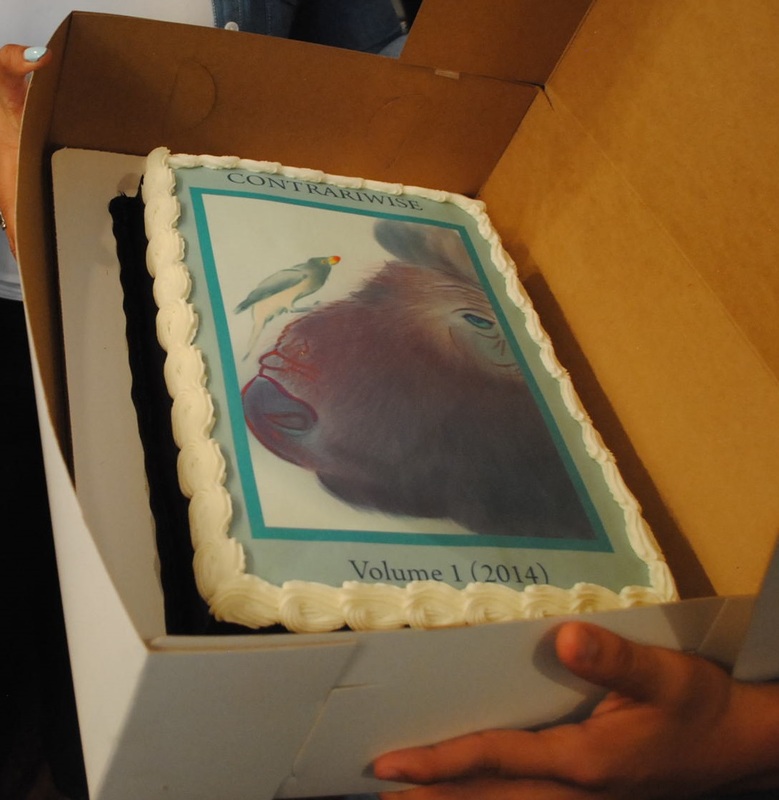 The editors-in-chief opened the first box, in accordance with tradition and eagerness. 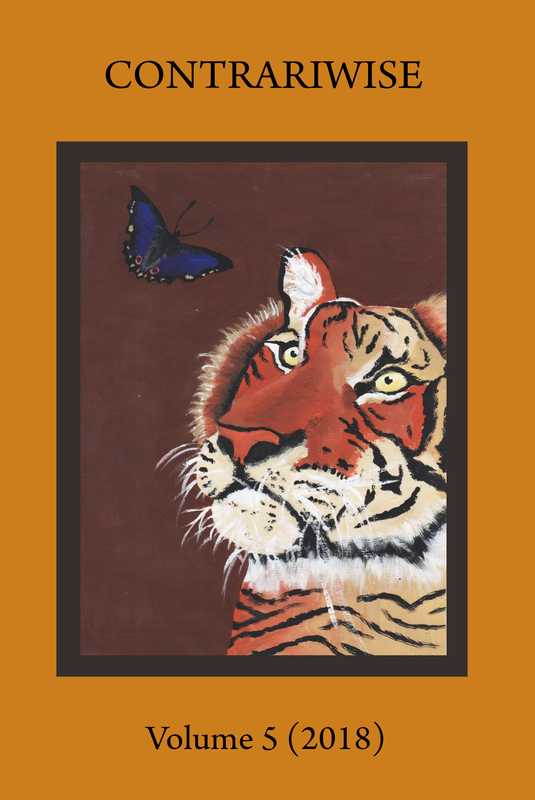 Beliz Ürkmez (Sainte Pulchérie French High School, Istanbul, Turkey), whose piece "Birth and Death" won first place in the second CONTRARIWISE International Contest and will appear in the third issue of CONTRARIWISE. 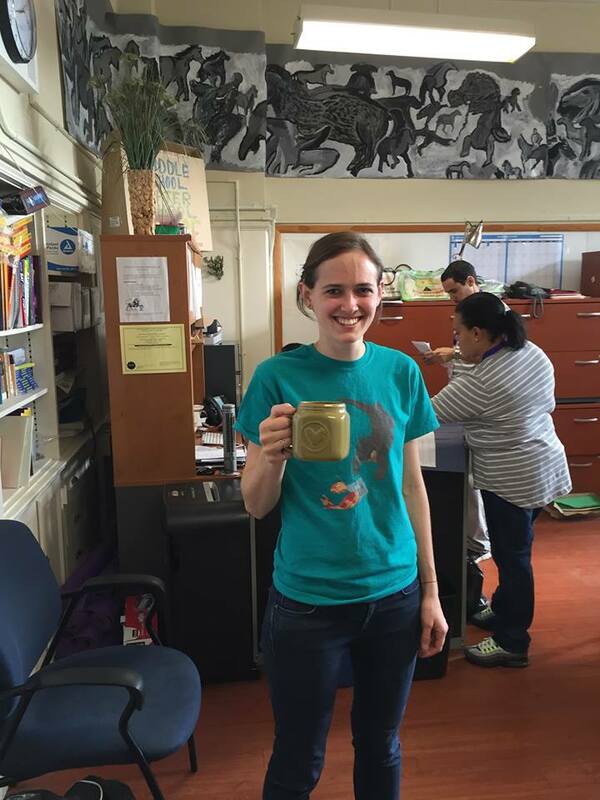 Congratulations to Beliz! 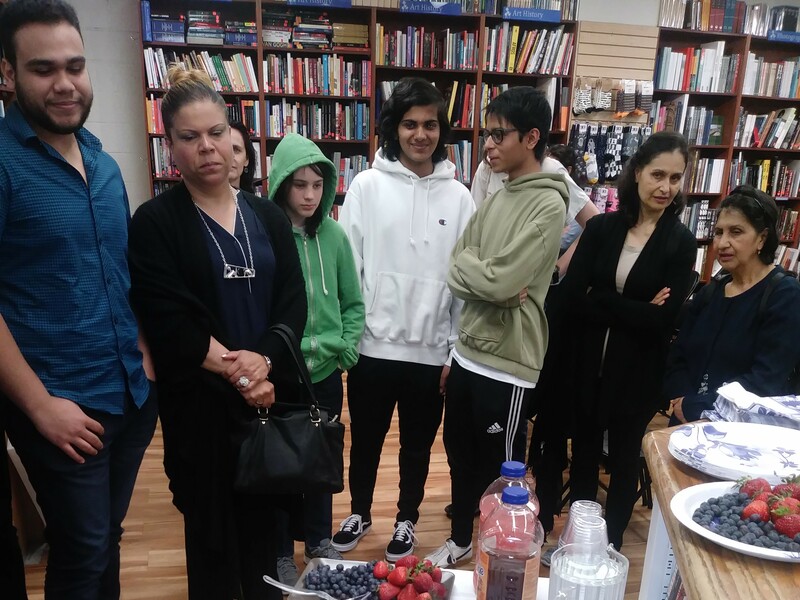 Beliz Ürkmez and her classmates, Sainte Pulchérie French High School, Istanbul, Turkey. Here are the authors of "Music: Stability and Change," which won second place in the CONTRARIWISE International Contest. 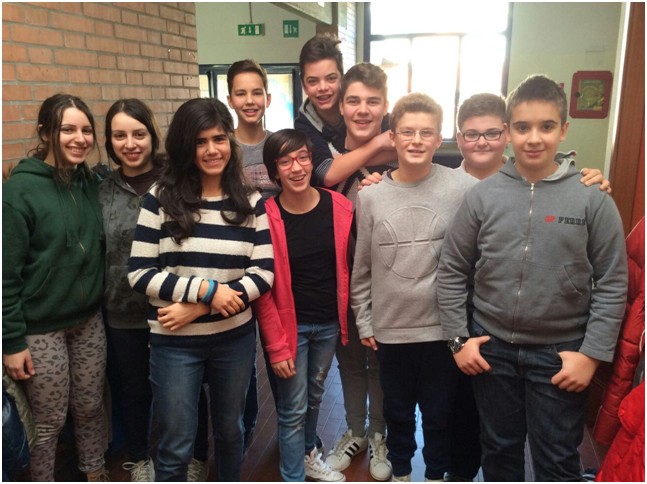 From left to right: Chiara Milzi, Federica Milzi, Giulia Cattabriga, Davide Manduchi, Chiara Fabbri, Tommaso Tabanelli, Riccardo Cesari, Christian Angolano, Luca Cambiuzzi, and Michele Biavati (Scuola Secondaria Andrea Costa in Imola, Italy). Congratulations to all! Here is Professor Hill (English teacher, gardener, chicken raiser, musical director, and more—all at CSS) wearing a CONTRARIWISE t-shirt! 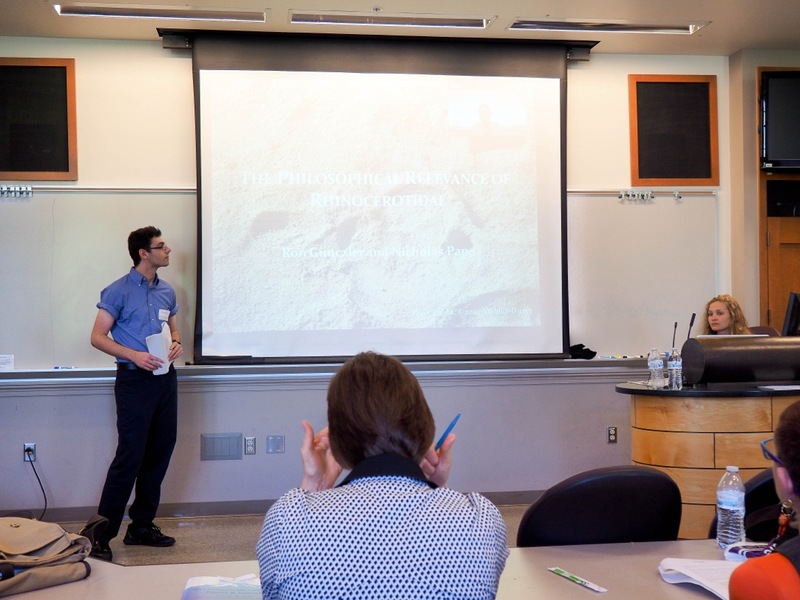 On June 29, at the PLATO Conference in Seattle, Ron Gunczler (left) and Nicholas Pape (upper right corner of screen) presented their paper "The Philosophical Relevance of Rhinocerotidae." Kelly Clevenson helped with technology and handouts. 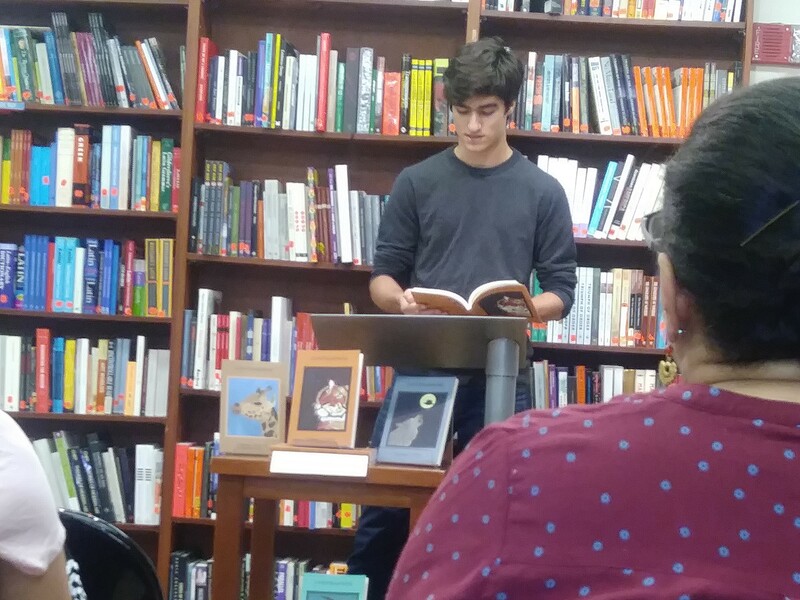 Thanks to Mark Balawender, PLATO's communications director, for the photo! At the PLATO Conference in Seattle (June 29-30). 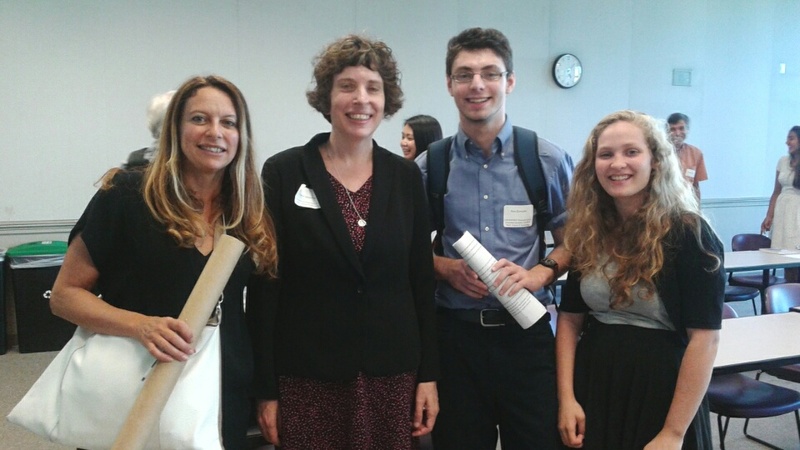 From left to right: Professor Alessia Marabini (from Imola, Italy), Professor Diana Senechal, Ron Gunczler, and Kelly Clevenson. 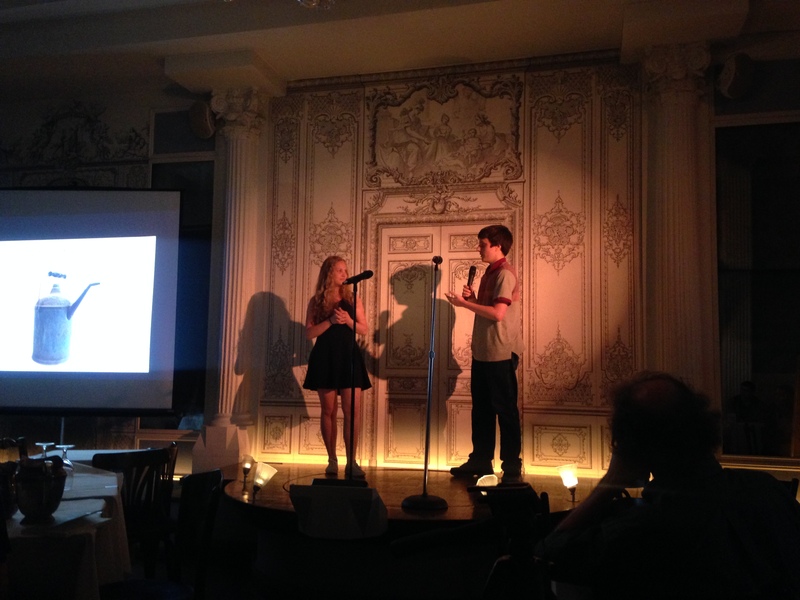 Apprentice editors-in-chief Kelly Clevenson and Alan Rice at the Bowery Poetry Club, May 17, 2015. 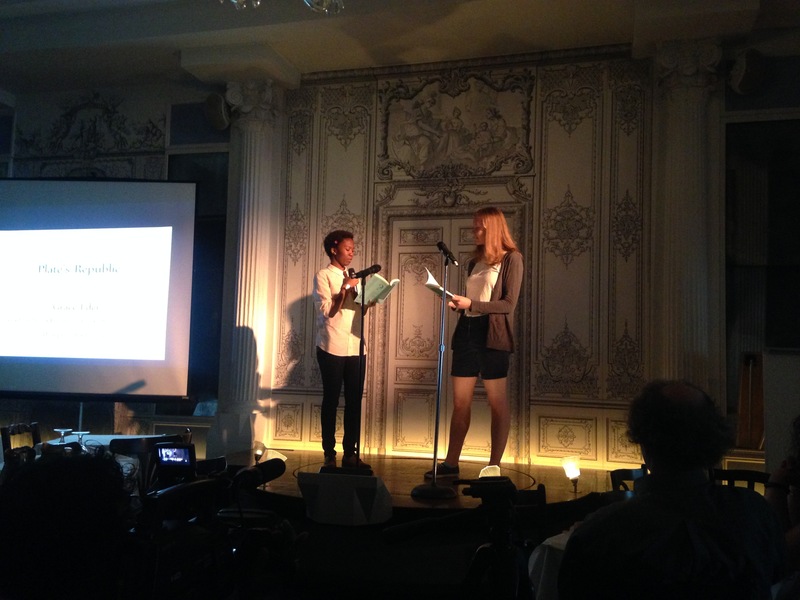 Memphis Washington and Anna Okounkova performing Grace Eder's contest-winning piece "Plate's Republic" at the Bowery Poetry Club, May 17, 2015. 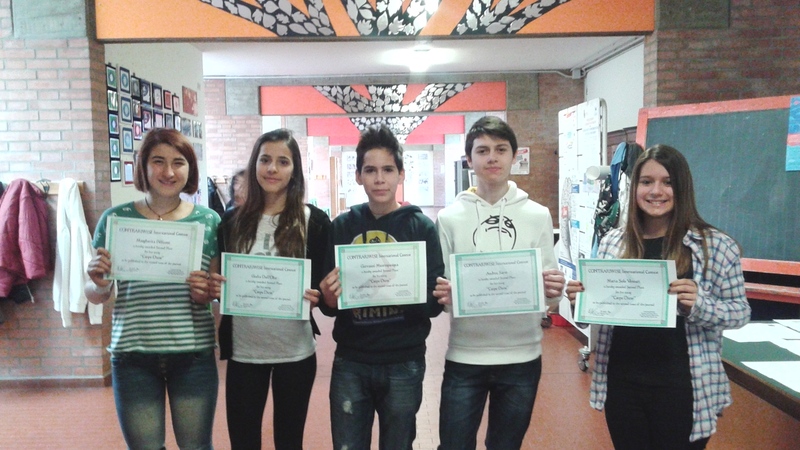 At the Andrea Costa School in Imola, Italy: Winners of Second Place in the CONTRARIWISE International Contest. From left to right: Margherita Pelliconi, Giulia Dall'Olio, Giovanni Mastropasqua, Andrea Sarro, and a friend of Maria Sole Venturi. 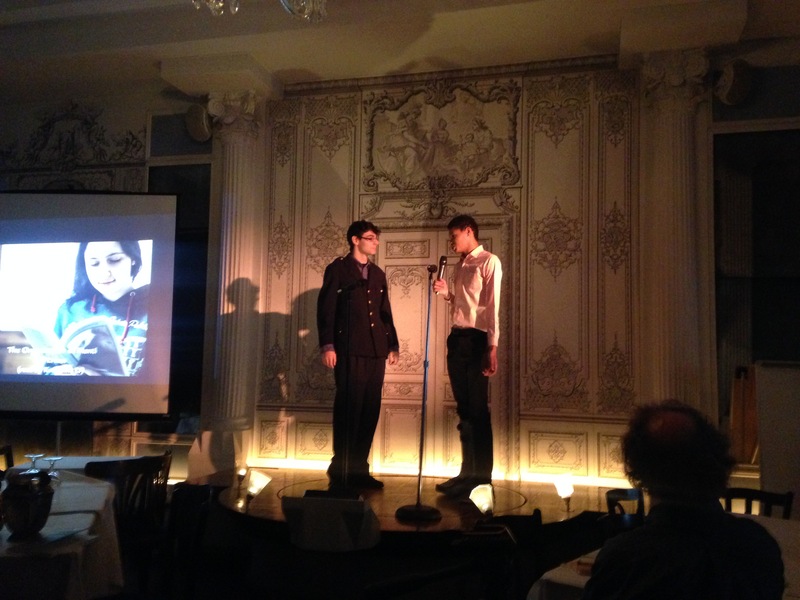 Editors-in-chief Nicholas Pape and Ron Gunczler at the CONTRARIWISE celebration on May 18, 2014. This photo appears in the PLATO interview with the editors-in-chief and two contributors. 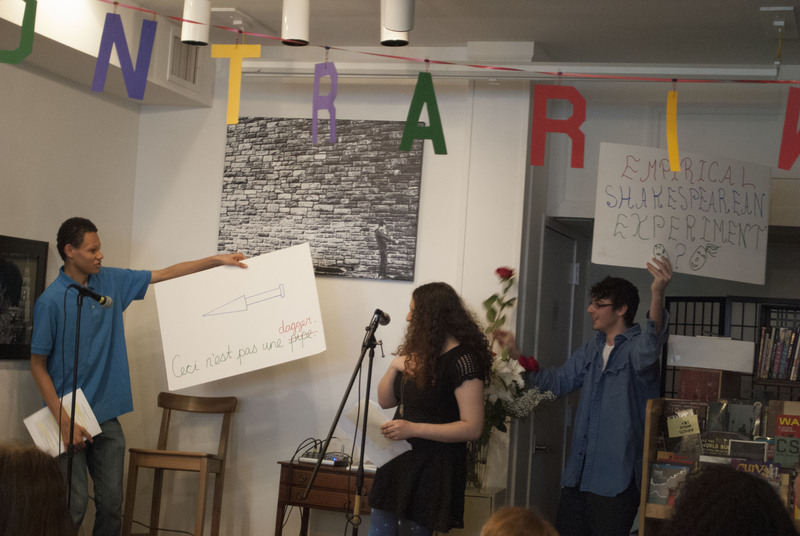 Nicholas Pape, Sofia Arnold, and Ron Gunczler conduct an "empirical Shakespearean experiment" at the CONTRARIWISE celebration on May 18, 2014. This photo appears in the PLATO interview with the editors-in-chief and two contributors. The CONTRARIWISE cake, made by the legendary Edie at Cakes 'N Shapes. This photo was first posted on the CONTRARIWISE Facebook page. 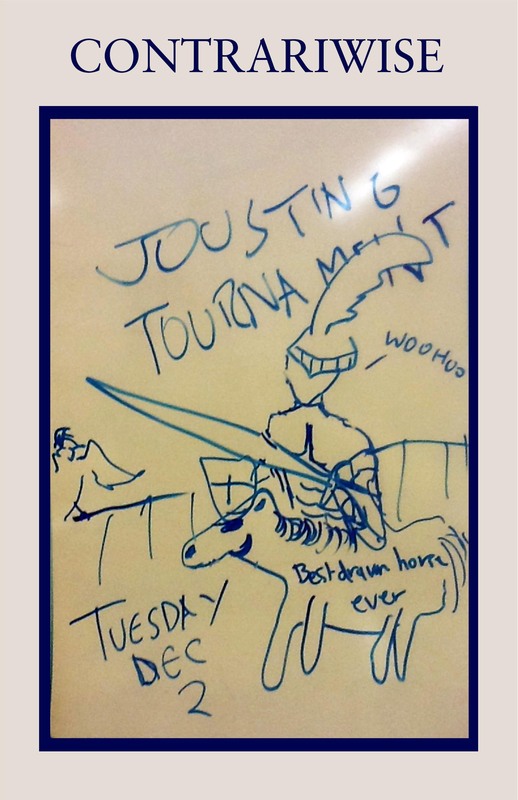 A special CONTRARIWISE poster from December 2014. At some point we will tell the story behind it; it involves a syllogism treasure hunt!